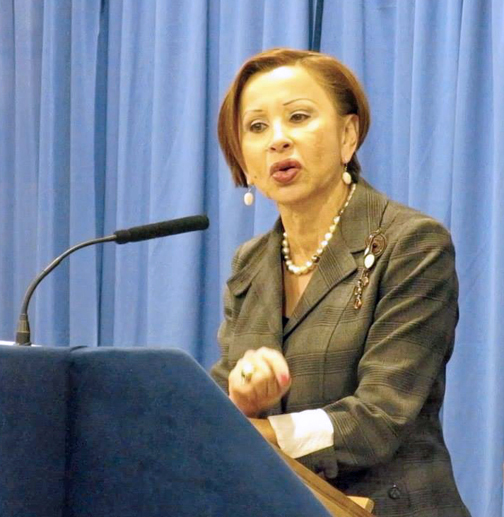 The top Democrat on the House Small Business Committee, Rep. Nydia M. Velázquez (D-NY), unveiled Thursday an array of legislative proposals aimed at igniting small business growth and entrepreneurship in Puerto Rico. The economically beleaguered island has suffered from soaring unemployment, spiraling government debt and elevated poverty rates over the last decade. Velázquez, the first Puerto Rican woman elected to Congress, said the legislation would advance entrepreneurship in Puerto Rico on a number of fronts, helping create greater opportunity on the island. The proposals contained in Velázquez’s bill, “The Puerto Rico Small Business Assistance Act”, H.R. 2488, would utilize a number of existing programs at the Small Business Administration (SBA) to help right Puerto Rico’s struggling economy. To assist small companies seeking capital, her measure would boost the portion of a loan the government can guarantee under the SBA’s most popular “7(a)” lending program. The bill would also lower fees private lenders pay when participating in the program and making loans to small business borrowers. To expand small business access to credit, the U.S. Congress took similar moves to counteract the recession, beginning in 2009. In addition to creating incentives for lenders in the 7(a) program to make loans to Puerto Rico-based businesses, the bill would use other SBA programs to channel capital firms operating in the commonwealth. The legislation would expand the availability of micro-loans for smaller ventures in Puerto Rico. It would also reduce fees and put in place other incentives for lenders to target financing to Puerto Rico through the “504” program, which helps businesses fund capital intensive projects, such as construction and heavy machinery purchases. In Fiscal Year 2015, there were just four 504 lenders in Puerto Rico, and SBA only approved about 64 loans, totaling about $25 million. Beyond the efforts to target capital to small businesses in Puerto Rico, the legislation would make a number of changes to federal procurement policy, seeking to help local firms in Puerto Rico secure work from the U.S. government. For the first time, the bill creates a contracting preference for small businesses in Puerto Rico that are doing work in the commonwealth. There are currently a relatively small number of federal contracts performed in Puerto Rico. Additionally, of the small number of federal contracts performed in Puerto Rico, a substantial percentage — about 40 percent — are performed by firms outside of Puerto Rico. In fact, the total awards to Puerto Rican small businesses declined from about $426 million in FY 2014 to about $342 million in FY 2015. Finally, the legislation seeks to expand entrepreneurial development services in Puerto Rico. The bill would make federal resources available for a Veterans Business Outreach Center in Puerto Rico to provide counseling and other technical assistance for veterans of the Armed Forces who own a business or are considering launching a new venture. The bill would also help more technology-oriented companies in Puerto Rico access the Small Business Innovation Research program, facilitating their participation in federal Research & Development efforts. Velázquez has made improving and strengthening the Small Business Administration one of her signature priorities. She has worked in a bipartisan manner promoting policies helping small companies succeed. Hey Buddy!, I found this information for you: "Velázquez bill would boost P.R. small business growth". Here is the website link: https://newsismybusiness.com/velazquez-business-growth/. Thank you.